It’s all in the name, ThickSlick. Made with a burly casing designed to withstand the roughest urban conditions, while the no-nonsense, slick design provides the bite you need in the concrete jungle. 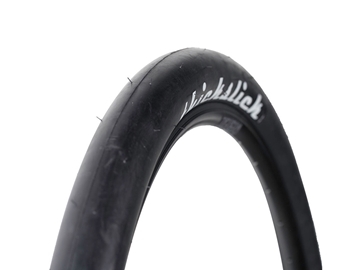 Thickslick Flat guard tyres have DuraStrip anti-puncture belt which surrounds the circumference and tread width to ward of flats. Need more rubber? The nearly indestructible Flat Guard level, with its Urban Armor Casing and added rubber... everywhere, provides optimal protection to contend with any city streets. It's no one wonder why this tire has a cult following among couriers and those not wanting to deal with flats. All tyres are sold individually.